Congratulations to boy richard who won the Mr. International Deaf Leatherboy 2012 title in Baltimore, Maryland, in July. 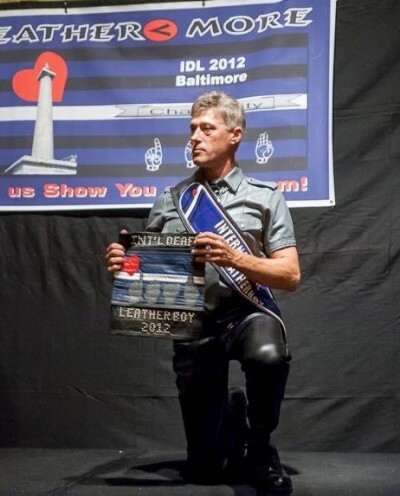 International Deaf Leather (IDL) held its 2012 event in Baltimore, Maryland, during the weekend of July 12-15. The event included workshops, parties and, of course, IDL’s annual titleholder contest. International Deaf Leather (IDL) is an organization dedicated to bringing together the Deaf Leather / SM / Fetish community for the purpose of networking, socialization, education and bridging the gaps with the hearing leather community.